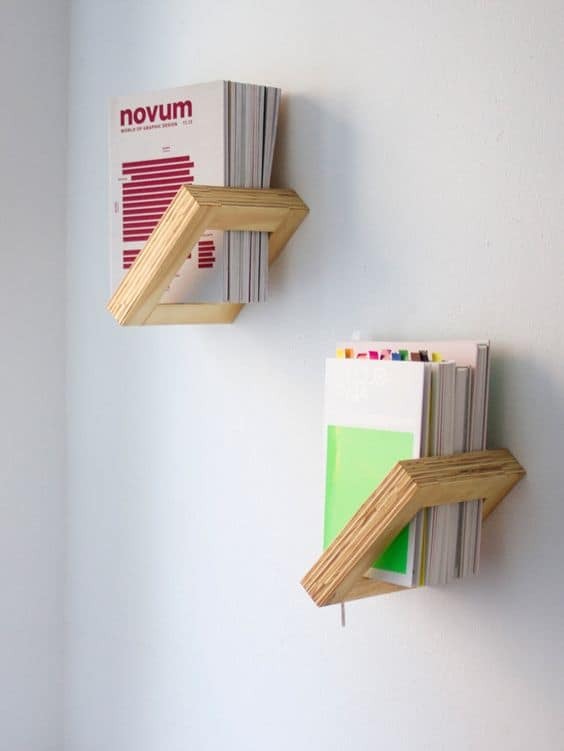 A simple functional DIY project with a great impact in terms of decor is the building of a simple, small shelf. It can be as simple as you desire, a saw, nails and a hammer might be everything you require for something practical yet the more of a statement you are making through its presence the more complicated it gets. A shelf can be a visual stimulus as well as a practical solution for extra storage and the crafting process offers you insane freedom over the process as you can mix and match lovely materials into easy diy shelves in minutes. The materials required are flexible as the wood manipulation can be realized through multiple means yet the result is extraordinary regardless. Whether you are going to place this in the hallway or the mudroom make sure you match it with your existing color pallet and design line for truly awesome results. The naturalness of wood both processed and natural, organic is extraordinarily balanced and graphic. The farmhouse style translates into experience, simplicity, naturalness and extraordinary charm. You can emphasize this chic atmosphere with contemporary elements today just like you would with items with memory. Pick up a set of corbels and help them support your shelves with the right design language. 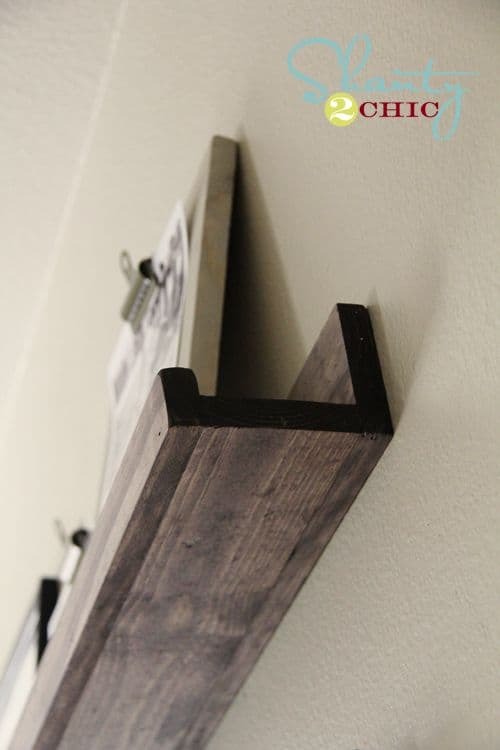 The graphic values of industrial design can be created through simple means, pipe shelves using reclaimed wood can be of great help and the color washed off a wooden piece can be customized to complement your design line through simple means. The option is also highly practical as it occupies little space and it returns decent open shelving storage. Letter storage is as one would imagine a highly customizable craft, an endeavor that you envision and materialize however you see fit. Simple projects could materialize the words “HOME”, “LIVE” or “LOVE” yet far more complicated projects can be fulfilled thanks to the easiness wood can be processed. Modular and scalable process that can spice up a lot of modern interior designs through color, texture and practical storage. 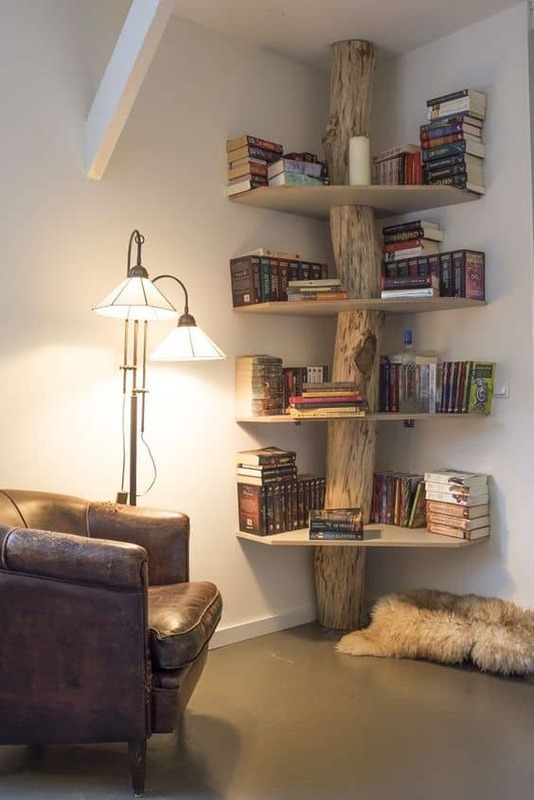 Above one`s sofa would be a great spot to plant them as they will keep your favorite book at your grasp. A collection of mugs is highly graphic and one ought to display it proudly rather in the kitchen or a living space. Show them off and emphasize your setting. Super simple adorable project with high practicality as it can be moved around, painted in any color and still remain utterly efficient and inexpensive as a craft. 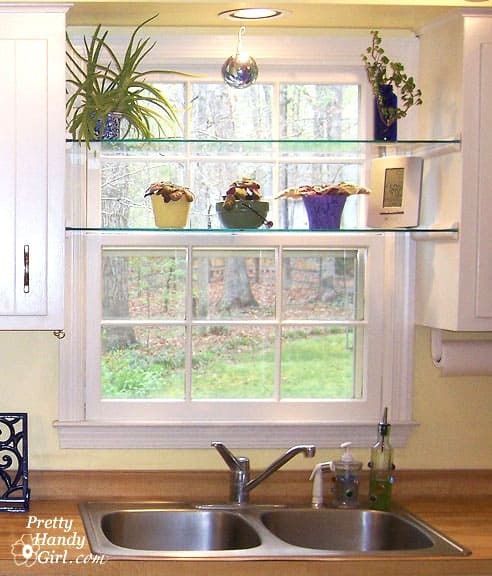 Naturally the window should not be blocked by shelves yet with glass shelves it is a different story as they`re easy to install, they are practical and in no way do they obstruct light. It is recommended to add transparent small items or plants to the newly designed shelves . Shelves can become pure art, they can shape memories for the little ones and present an extraordinary fairy-tale land. Craft with love in wood and use petite decor accents to highlight the extraordinary. The means to process big blocks of wood might not be to the hands of an amateur yet the enthusiasts will surely know that this is an easy project. It uses textures and volume to shape a practical art piece beautifully. The wood outer shell containing impeccable white works brilliantly in simple decors and thanks to its modularity it can be adapted to any wall space at multiple scales. 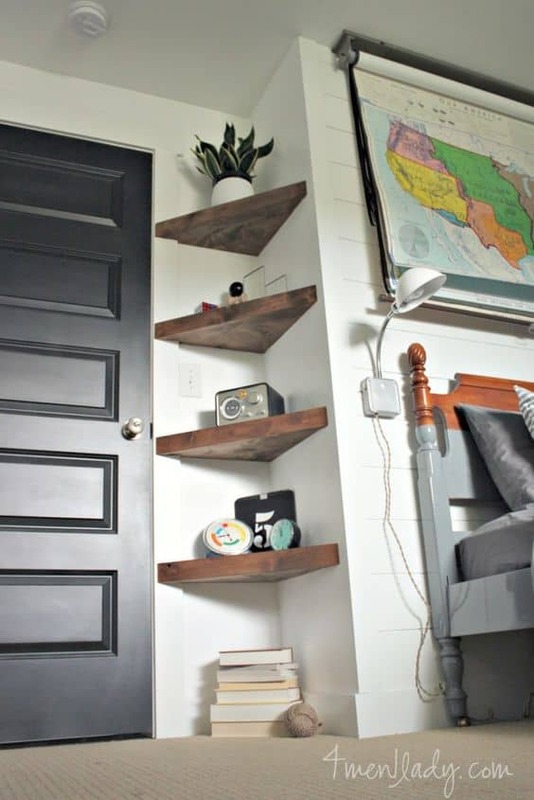 Floating shelves can be extraordinary inexpensive yet graphic and one can plant them on any sturdy wall. Use them to your advantage and allow your items to flow freely in your decor. A shelf for memories is utterly important in the living area and where the fireplace mantel is not an option wood might carry your pictures beautifully, seamless. Salvage wood or age it and build on open shelving for the decor of choice. Wooden textures will support your design act beautifully. The plywood pieces can be cut with a miter-saw in minutes and assembled rapidly with glue, awaiting your books with greatness, defying gravity beautifully. In a corner floating open shelves can provide storage for your heirlooms, tailor them beautifully. 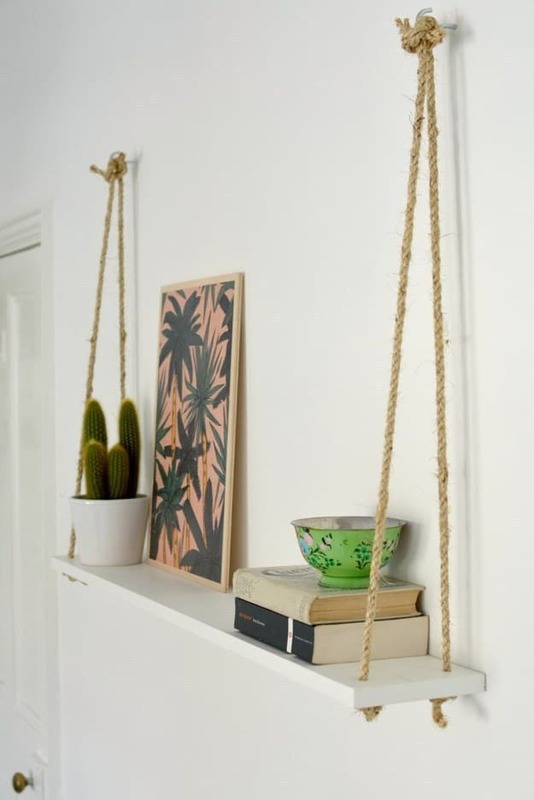 Rope and one piece of wood or plywood bring airiness, providing storage without cluttering one`s wall. The modular iron can be assembled to your needs, the shelves can be adapted in time. Decorate the wood to your liking. The natural setting has much to offer and wood is one its finest offerings. A wooden trunk can support all your shelves, all your items. Great opportunities arise with wood for open shelving, one ought to tailor the design of choice through all means possible and we trust that the list above helps. 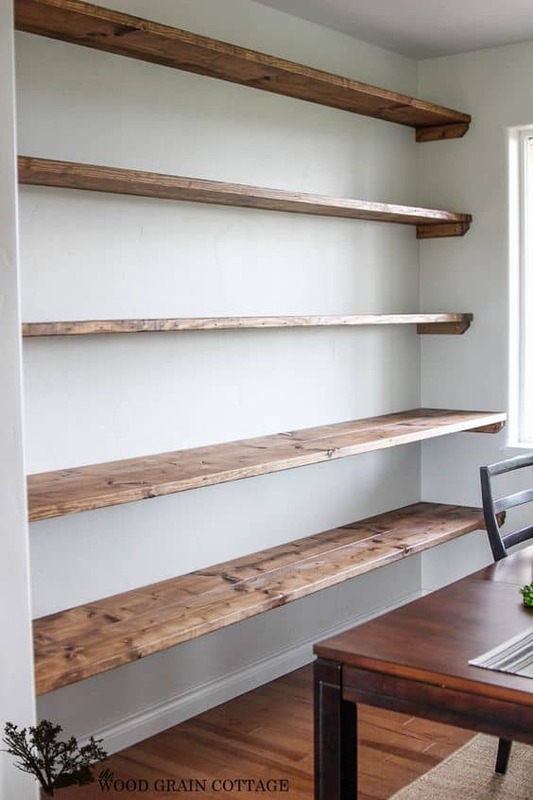 How do you use shelves and open shelves and did you craft in this area lately? We would love to hear from you in the comment section below.